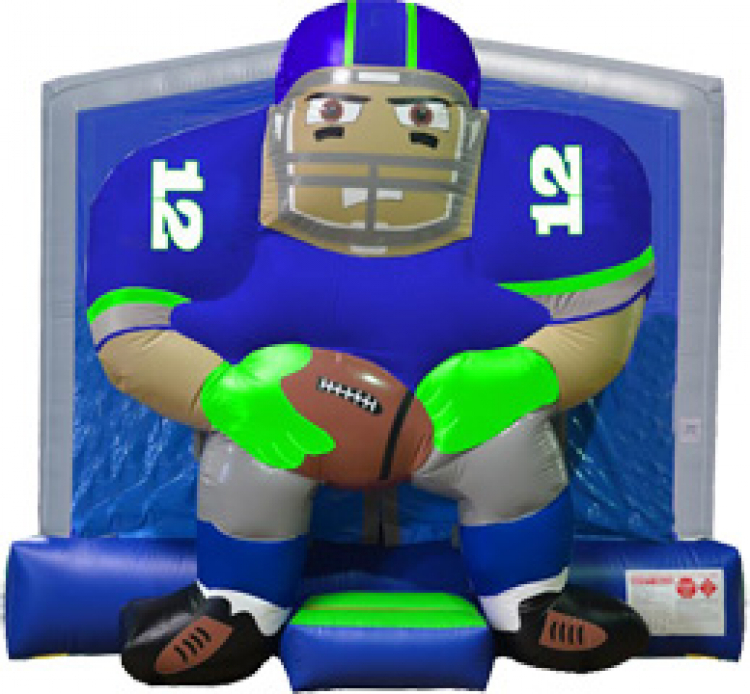 Our new 12 Bounce is the perfect party rental for Seahawk bounce parties. 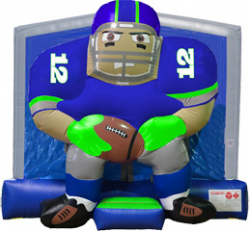 This giant inflatable football player, proudly wearing blue and green, stands tall and guards the entrance to the bounce house. Get past him and you've earned your jump time. Take your tailgate, backyard or viewing party to the next level! Inflatable safety ramp at entrance to easy entry.